Today I attended a one day workshop entitled Building the Employer Brand run by the Chartered Institute of Marketing. I found the content very interesting particularly in light of the recent recruitment work I’ve been involved in. It was thought-provoking and gave rise to a number of questions and methods for building stronger internal colleague relationships while also making a business more attractive to customers and potential job applicants. This was an introduction to the concept of the customer and employer brand. Why is the employer brand important? This considered the components of the employer brand, and how this relates to the customer brand. We were also asked to look at how our own employer brand was currently perceived, and whether it needs to change or develop. In this session we considered a number of the different aspects of employer branding e.g. organisational values and behaviours, reputation of the organisation, perception of the value of work, challenge & interest as well as individual staff achievement. To finish the day we covered the aspects of our employer brands which need to change and what information is needed to find these out. This enabled us to build a list of key points outlining the changes needed. We were given a book called Brand from the Inside by Libby Sartain and Mark Schumann to take away which, from what I’ve read, looks to be an excellent guide and I look forward to reading more. I may even do on an ongoing review so I can cover the topic in more detail. There are three dates currently in place for this course next year in April, August and December. These can be found along with the course overview on the CIM website. Earlier this evening I was travelling on a bus with my daughter and she was working on the words and pictures of her own comic. She’s done a really good job with excellent drawings and a vivid and funny story to go with it. What got me was the point where she asked me about what to do for the next part. I said her that it was totally up to her as it was her ‘publication’. What did it matter what I thought? There was a real reluctance to do that which, while understandable for a 10 year-old, was rather sad too. As I explained, there will be enough people in her life telling her how to live it without letting someone (i.e. me) dictate how her own work should look. Having said this her childhood is dominated by rules from us as parents and from school teachers too – has her freewill already been damaged? 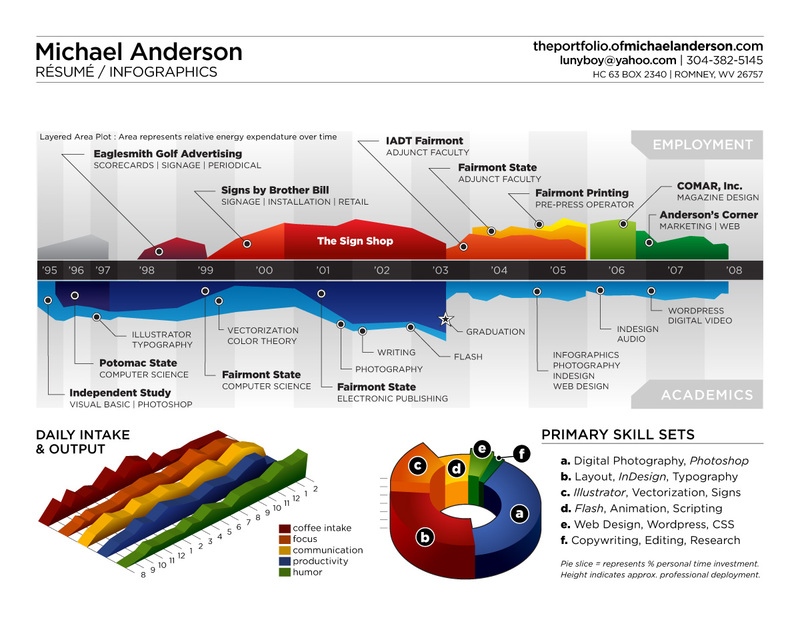 I came across a link to a graphical resumé yesterday which I found interesting on so many levels. First of all it appealed to my design sensibilities and also my interest in innovation. While the graphs don’t feature real data, I still found myself studying the peaks and troughs for hidden messages and noted every little nuance in the timeline. I particularly liked the daily coffee intake, energy expendature and the humour output at 2:00am. Also of interest was the curious gap at the beginning of 2006 – if we ever met that would be the first question I’d ask him. What do you think of this style of CV? Obviouly it wouldn’t be appropriate for every career but it does tell us that by doing something different will gain you extra recognition. 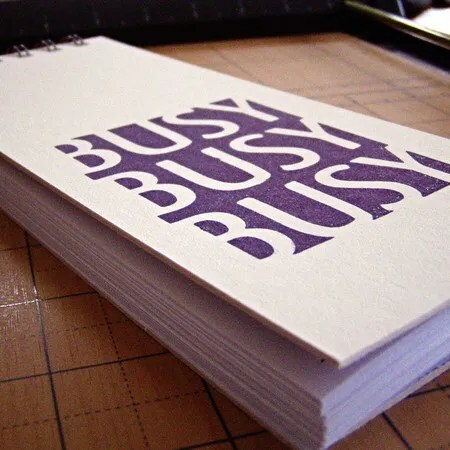 I’ve already sent this stranger’s resumé to two people and now I’m blogging about it. I’d say he’d have a fair chance of getting someone approaching him to offer him work.